Lead actors of forthcoming film, 'Kill Dil' - Parineeti Chopra, Ranveer Singh and Ali Zafar were seen having some masti and dhamaal with Salman Khan on Bigg Boss. 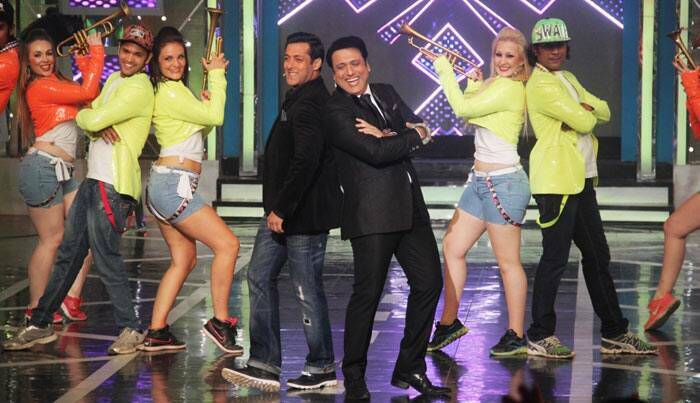 Salman was joined by his 'Partner' Govinda. 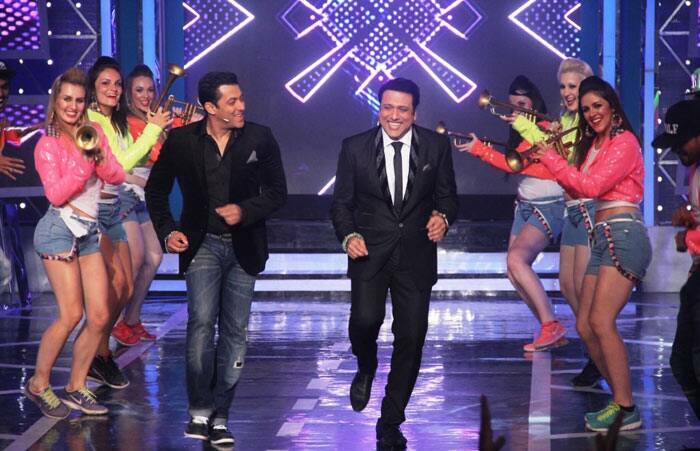 'Partners' Govinda and Salman Khan were both dapper in their suits. The duo had the crowd in splits with their jokes. Govinda and Salman were last seen together in 'Partner'. Salman and Govinda are having fun. 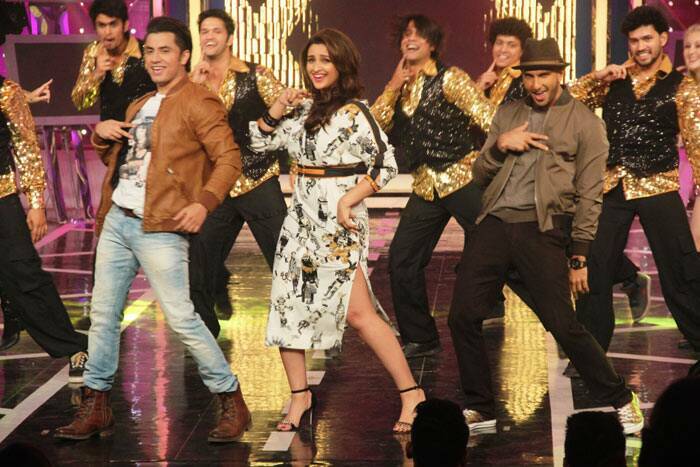 Ali Zafar, Parineeti Chopra and Ranveer Singh did not miss out on an opportunity to show off their moves. Parineeti, seen here with Salman Khan and Govinda, looked lovely as she took centre-stage in a printed belted dress with ankle-strap heels. The 'Kill Dil' trio - Parineeti, Ali, Ranveer - also visited the Bigg Boss housemates. Ranveer Singh seems to have some words of wisdom for the housemates. Housemate Ali Quli Mirza has a word with actor Ali Zafar, while the others look on. Later, Arjun Kapoor also visited the Bigg Boss sets recently. 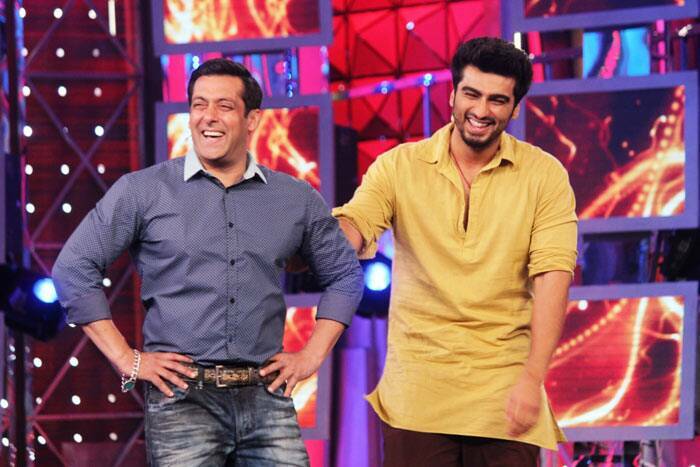 The actor, who will next be seen in 'Tevar', shared a hearty laugh with entertaining host Salman Khan.